The monthly Economic Report for November is out. November has been a really interesting month for the economic data. Trade is up though still a huge 39% below February levels. Lonetrek has moved into the number 4 position for Trade for the first time. Production is up and is up 28% since February (compared to Trade down 39%). We can clearly see which regions are rising and so suggesting the Citadel building continues its march. A review of Sinks and Faucets suggests that activity was slightly lower this month. A review of the daily money supply was really interesting with a record breaking 71 trillion ISK leaving the game on the day the Ascension expansion hit followed by 6 new top 10 creation of ISK days as the Alpha Clone players entered the game. And, as reviewed at the end of the post, there are good reasons why Plex had a tough time in November. Trade rose for the second month in a row to 596 trillion ISK though that is still 39% down on the February level of 977 trillion ISK. Now, CCPQuant seems pretty adamant that the Trade numbers are being recorded correctly hence i can't actually say why Trade is not back up to prior levels. I had been for a while trying to reconcile the Transaction Tax rate with the Trade numbers being given in posts here and here. But lets go with what we are given. No changes in the constituents from October. Lonetrek pushed to number 4 - that is the first time Lonetrek has risen to the number 4 position though this is more a reflection of the ongoing decline of Heimatar and Metropolis. Perhaps of note that Providence actually fell in value. The Forge (Jita) remains dominant followed by the trade hubs of Domain (Amarr) and Sinq Laison (Dodixie). The other Trade hubs of Heimeter (Rens) and Metropolis (Hek) are still up there though Lonetrek remains in contention to take over from Heimeter and Metropolis. Infact, this is the first time that Heimatar has been knocked off the number 4 position. As a reminder to new players, the main 5 Trade Hubs in the order we know: The Forge (i.e. Jita); Domain (i.e. Amarr); Sinq Laison (i.e. Dodixie); Heimatar (i.e. Rens); Metropolis (i.e. Hek). Providence is a business friendly Null Sec space that borders several highsec Regions: Domain / Tash-Murkon / Devoid / Derelik. To put The Forge (Jita) into perspective, 72.8% of all Trade is done there and this % has remained above 70% for a long time. The other trade hubs though are a different matter - they are all losing market share. Domain (Amarr) has 11.0% of all trade but that is on a declining trend. It was 11.7% in February. Sinq Laison (Dodixie) has 3.6% of all trade vs 4.3% in February. Heimeter (Rens) has 1.7% of all trade vs 2.3% in February and Metrolpolis (Hek) has 1.4% of all trade vs 1.6% in February. Just looking at the winners in market share (i.e. those regions taking proportionally more of the Trade over time) then Lonetrek is a clear winner taking its share from 1.4% to 1.8% and Outer Ring has moved up from 0% to 0.3% - likely Blueprint buying in the mining barge changes. There are others but these are the stand out ones. Transaction taxes rose 18%, so faster than Trade. This has been a feature for a while - Transaction Tax fell slower than Trade during the summer and is now rising faster than Trade during the winter. I can't explain that (if i assume the Trade values are correct) - as far as i am aware Citadels can not change the Transaction Tax rate. Eye catchers of the month are: Essence rose 34% to 4.3 trillion ISK though remains 34% below February levels; Tash Murkon rose 27% to 2.6 trillion ISK though remains 24% below February levels; The Citadel rose 31% to 5.3 trillion ISK and is once of the few regions seeing trade above February levels, in this case by 16%; Verge Vendor rose 24% to 2.0 trillion ISK though this is still some 32% below February levels. The big losers since February in the 90% club (i.e. all fallen over 90%) are: Querious is down 93% to 110 billion ISK; and Wicked Creek is down 94% to 102 billion ISK. The Fallen angel (former big time players with Trade over 2 trillion are) remains Deklein, the home world of the losing side in World War Bee, which used to be 2.6 trillion ISK is now 692 billion ISK. Of the 64 Regions in Eve Online 17 have higher Trade than in February. That leaves a noticeable 47 still doing Trade at a lower level than February. Those 17 are: Aridia; Cache; Cloud Ring; Delve; Detorid; Devoid; Esoteria; Fade; Immensea; Omist; Outer Passage; Outer Ring; Paragon Soul; The Citadel; The Kalevala Expanse; The Spire; and Vale of the Silent. Contracts: another way of measuring the Economic activity in Eve is to look at the volume of contracts placed. If i assume 10,000 ISK broker fee per contract then in October there were 22.2m contracts placed which is an 18% rise on October and indeed is up 30% since February. The peak number of contracts occurred in April when 22.3m contracts were placed. Office Rental Fees: office rentals fell 3% to 366 billion ISK, another new low since i have been watching the numbers since February. In part, i suspect, due to the fall in Trade and so corporations pulling out of Trade Hubs such as Rens, Hek and Dodixie and also due to traders moving to the Citadels. The Fees peaked in May, a month after the launch of Citadels, at 626 billion ISK. In fact, Office Rental Fees are a rare example of a cost that fell in November. Production rose 16% to 131 trillion ISK of items manufactured, now 28% above February levels but below the 145 trillion Citadel induced peak in May. Interesting to note that since February Production is up 28% but Trade remains down 39%. The only way i can explain that is Corporations are mining and processing their own raw materials for Citadel Production rather than buying them in the market - worth noting that mining has remained almost continuously above the February level by 4-18% each month. Alternatively, raw material purchases were made in prior months to stock build, or the buying from the market was done in one step (i.e. not character A buying from the market to sell to character B who sells to character C etc but rather character A buying from the market to directly stock pile to manufacture a Citadel). Of note, Manufacturing costs as a % of the Value manufactured is running at 1.64%. I.e. in September 131 trillion ISK of items were manufactured which cost 2.2 trillion ISK in manufacturing fees. This % has varied from 1.56% to 1.95% since February - hence we are currently at the low end of the range. No major changes in the top 10 to report on other than Deklein has been replaced by Cobalt Edge. Worth noting that the Trade Hubs of Heimatar and Metropolis are not in the top 10 - though Heimatar has never been in the top 10 but Metropolis used to be. There are some big movers this month (all i suspect related to Citadel building): Cobalt Edge increased 62% to 3.5 trillion ISK; and Delve rose a massive 82% to 10.6 trillion ISK - and that is on top of the 66% rise in October to 5.8 trillion ISK, Delve has been gathering momentum since February. Someone has clearly moved in. The Regions of The Forge and its neighbours Lonetrek and Citadel dominate - they were always big production centers but now take on the role as being where Citadels are being focused in High Sec to take business away from Jita. For new player informaion - The Forge remains the top slot - makes sense, many people will produce near where they buy the raw materials and/or intend to sell the finished items. Domain (Amarr) and Sinq Laison (Dodixie) are the other two major Trade Hubs - hence would expect Production to be there in volume as well. Providence, is a Null Sec Region but borders several highsec Regions: Domain / Tash-Murkon / Devoid / Derelik and has a more inviting stance for players - hence we would expect to see it be up there in the Production rankings. Notable risers since February that rose over 100% and are now over 1 trillion ISK in production are: Cache up 132% to 2.5 trillion - Cache has seen two strong rises in October and November, i suspect we are seeing a Citadel of two in there; Cobalt Edge up 322% to 3.5 trillion - like Cache, this region has seen two strong monthly rises indicating some Citadel building; Delve up 1673% to 10.6% trillion - this is the notable success story of Citadel building, i suspect; Immensea up 189% to 1.5 trillion; Insmother up 258% to 1.2 trillion ISK; Outer Passage up 106% to 1.0 trillion ISK; Perrigen Falls up 138% to 1.1 trillion ISK; Pure Blind up 165% to 1.0 trillion ISK; and The Spire up 352% to 1.1 trillion (that may be someone moving in). Noticeable that those in the Trade 90% club (i.e. seen trade fall over 90% since February) have also seen their production fall about 80% since February: Querious and Wicked Creek. Mining fell 12% from its record high in October to 24.5 trillion ISK. Other than a slowing in Citadel building i have no explanation for that. Delve continues its astonishing rise by keeping the top slot. Now 8.6% of all mining in Eve is in Delve - that is a new record February, even The Forge only managed a 7.2% market share back in April. It used to be languishing in the 40s and now is the top Region for mining. Note Delve is also in the top 10 for Production. And Imports into the Region have been rising strongly in recent months. Here, it seems we have a new home region or someone. The market share losers have been Deklein (home region of the losers in World War Bee); Branch seems to have halved its share in November from 2.2% to 1.1%; Feythabolis has a 0.7% share vs 1.9% in February; Oasa has fallen from 2.7% in February to 1.3% in November; Providence is down rapidly in the last two months to 2.8% (peaked at 5.6% in April); and Vale of the Silent has fallen from 2.7% to 1.4%. Destruction rose 3% to 34.1 trillion and so bounced off the 2016 low set in September. Insurance received rose to 5.6 trillion though this is still a low compared to the 7 - 8 trillion that was received in the months of the World War Bee. As a percentage of items destroyed this is 16.5% - so just up of the 2016 low set in October. We should not be surprised by that - players are less likely to insure when ratting than when entering a war zone to fight. At the height of World War Bee Insurance Received represented 23% of all items destroyed. Insurance premiums paid rose 10.6% to 2.5 trillion ISK and represents 8% of items destroyed which is about average for non war periods. 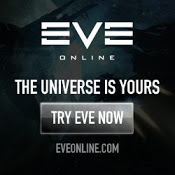 Whoever runs the Eve Online insurance business is making a 3 trillion loss per month during peace time and a massive 4.5 trillion loss per month during wars! The Forge, as ever, remains top dog for destruction though this month saw 9.3% of all destruction vs the more normal 6-7%. Catch has been rising during 2016 and having flirted with the top 10 no seems a more permanent member and is steadily rising up the rankings. I normally watch the Imports and Exports as an indicator on the travel of goods or the movement of war. That said, imports (and exports) were flat at 7.6 Trillion ISK in November, remaining at the 2016 high. Whilst Trade may be down 39% since February, Imports / Exports are up 31% which represents the moving of Citadel materials around Eve. Looking at trends: the movement into Delve continues since August. Other Regions that have seen high net imports in the last three months are: Deteroid; Immensea; and Oasa. Sink = ISK leaving the game (i.e. Brokers Fees); Faucet = ISK coming into the game (i.e. Bounty Prizes). In November there was an inflow of ISK into the game of 14.9 trillion ISK. The amount of ISK in the game is 978 trillion ISK, which is a new record. Now, before everyone starts clapping and hollering it is worth saying that this was the a poor month for ISK creation with only 16.6 trillion ISK created. The real driver of the rise in ISK was that only 1.7 trillion ISK left the game due to players leaving - that is a record low number. This record low 1.7 trillion i suspect is not due to a low number of players leaving the game but is likely due to a huge number of Alpha Clone State players incoming to the game - which is discuss more below in the Money Supply section. In all, it may be fair to say that November was a slower month than October. Going through Faucets of note: Bounty prices fell 2% to 50 trillion ISK - though off the new 2016 high set in October; Commodity payments rose 4% to 17 trillion ISK - though still below levels seen in April; and Incursion payments fell 2% to 9.6 trillion ISK - remains volatile but in long term decline. Blueprints were up a massive 196% to 17.9 trillion ISK reflecting the mining barge changes and the Engineering Complex introduction; Skills books were up 19% to 12.2 trillion ISK - close to a 2016 record and, i suspect, reflects the introduction of the alpha clones; Broker Fees were up 17% to 12.1 trillion ISK - moving inline with Transaction Taxes; Transaction Tax was up 18% to 10.1 trillion ISK. War Fees rose 18% to 347 billion ISK. Now, back during World War Bee the War Fees averaged 400 - 440 billion, so not there yet. I discussed the Contract Broker Fees earlier which are now at a record 222 billion, up 18%. One odd item of note, there is a small sink called "Celestial", i have no idea what it is but it has a suspiciously round numbered outflow each month: Feb = 74.7 billion (i.e. an exact 74,700,000,000); March = 45.0; April = 2.7; May 8.1; June = 18.0; July 3.6; August 3.6; September 9.9; October 1.8; and November 3.6. November has been a hugely interesting month when it comes to Money Supply. If i looked at the percentage daily change in ISK entering and leaving the game (i.e. daily change in ISK divided by the prior day's ISK in the game) then six of the all time top 10 inflows happened in November and the all time record outflow happened in November. Starting with the outflow. The prior record came when Citadels were introduced and i suspect related to the buying of Citadel blueprints. That was a mighty 43 trillion outflow. This has now been dwarfed by a mega 71 trillion outflow on 15 November 2016. This was the day the Ascension Expansion arrived which introduced Clones States. Quite why that should lead to the single largest % and absolute level of ISK leaving the game is beyond me. However, for the record inflows which, note, all happened after the Ascension Expansion arrived (i.e. on the 16 / 17 / 19 / 20 / 21 / 24 November) i assume is due to incoming players creating their ISK. That is a serious number of new players! In all, those six days created 56 trillion of ISK. Imagine what would have happened if the Citadel Blueprints had come in December - the inflow in November would have been huge! The second greatest outflow of ISK from the game occurred on 20 August 2014 when a massive 32.7 trillion ISK left the game (=4.3% of the prior day's ISK in the game). Most likely to do with the banning of SOMER Blink from the game on that day. This is a new piece of information. Since PoCos players have been able to collect taxes from other players for the use of player owned facilities but the launch of Citadels and taken this a step further. Growth continues at a slow pace but growth nonetheless. In November 1.8 trillion ISK (October 1.6 Trillion) was paid from one Character to another in the form of Citadel Broker Fees (1166 billion - barely up on the 1051 billion in October), Planetary Export Taxes (439 billion vs 419 billion in October ), Reprocessing Tax (146 billion 132 billion) etc. Seems Citadels are clearly on the rise, just slowing in November. Broker fees of 1.166 trillion compares to NPC broker fees of 12.1 trillion - hence Citadels command 8.8% of the market, down from 9.3% in October. Which is a surprise, i would have thought it would have risen - perhaps reflects that the new Alpha Clone State players buy from NPC stations first. However, worth remembering that in most Citadels the Broker fees are priced very low to attract traders - hence i suspect this 8.8% market share is understated. Planetary Export tax of 433 billion and Planetary Import tax of 85 billion represent about 65 - 75% of the total tax collected which, as we would expect, shows that the player owned PoCos are almost everywhere. Given NPC tax still applies at player owned PoCos (hence, the tax share of player fees can never get to 100%) i suspect we can be confident that almost every planet now has a player owned PoCo orbiting it. Office rental fees at 149 billion ISK represents 28.9% of the rental fees paid vs 26.9% in October - hence it does seem that players are moving into the Citadels. I greatly suspect players, like myself, use surplus ISK generated each month to buy Plex. When i say "surplus" i of course mean surplus to all other requirements - at the end off the day, ISK sitting in my wallet will never grow. It should either be about to be invested into my business or should Buy Plex. Normally, there is 20 - 30 trillion of surplus ISK generated which, through the mechanisms of trading, makes its way nicely up to the business owners and bankers in Eve. When i say "surplus ISK", i mean the difference between the Faucets and the Sinks. The ISK that leaves with retiring players is not a factor in all this - though the absence of those retiring players may become a factor in future periods. The players then park some of that ISK in Plex. That is what makes Plex an inflation hedge - where inflation is defined as money supply. That is, the rising amount of ISK in Eve. As a rule, surplus ISK is normally generated by existing players each month. However, we have had three recent events which have disrupted that flow. Firstly, World War Bee, i suspect, will have seen a higher than normal selling pressure to finance the war. For a few months that extra ISK generated went into financing the war and i suspect hoarded reserves of Plex were sold to help out. That i suspect is now largely over. Secondly, Citadel building will also have seen a higher than normal selling pressure to finance the cost of building Citadels. That appears to be scaling back to more of an ongoing expense rather than the rush we saw recently. Thirdly, the rise in Transaction Taxes and Broker Fees has added a further 5 trillion of additional ISK sink to Eve. Worth noting that it was an additional 15 trillion ISK sink until players discovered "off-shoring". That is here to stay though good to see player innovation minimizing its affect. To put the changes in the tax system into perspective: in February 15.7 trillion ISK was spent on Transaction taxes and Broker fees as a result of 977 trillion ISK of trade; in November 22.2 trillion ISK was spent on Transaction taxes and Broker fees as a result of a mere 596 trillion ISK of trade. Firstly, the Betting Site ban remains to be seen what effect it has. It would be a drag on Plex if betting sites held Plex and had to sell to return ISK to players or if they had been net buyers of Plex historically - we will see. Secondly, the introduction of Alpha State Clones means that players can now play for free (within some limits) and hence in the near term we are bound to see less demand for Plex than would otherwise have been the case (i.e. if those new players had created Omega State accounts then presumably they would be buying Plex. Thirdly, with the introduction of Ascension we now have Industrialists bringing Engineering Complexes online and therefore doubtless selling their Plex to bring in the ISK to make this happen. Furthermore, in November we had a huge 71 trillion one day outflow which would likely be a short term headwind to Plex buying as well. Hence, lets see how this plays out - but November has had reasons not to be a good month for the demand and supply of Plex. I do not know why you keep referring to Deklein as "home region of the losers in World War Bee." The Imperium, which lost the Casino War, doesn't live there any more so it is not their home region, Delve is. Delve, where all that mining and economic activity has popped up. It is the winners of the war that seem to have brought with them economic decline to Deklein. Former home region, I believe he said at one point. I'm pretty certain the loss to Deklein is not only equaled by the gains in Delve but exceeded. Losing the war didn't result in really losing their base, as opposed to the effect winning the war had on several groups. If you're looking for a reason for a drop in trade, look at the tax increases. As predicted by yours truly, the effective Tobin tax has driven out market makers who're not perfectionists by eroding their returns. Combine that with the abolition of gambling sites (a key source of demand and supply), and that's what you're seeing. CCP's dumb decision making, once again. The tax increase leads to a consolidation of markets. It will continue even further over time. People competing on the edge of the market will loose out in the long run and leave the market. People just relisting inter-regionally have no markets opportunities left. People who make money by speculating in several baskets can ride out waves longer due to shorter ROI times. When the station trade is done, you can dump out on lesser hubs and outer hubs without much trouble. Mining was only down in November because they don't know how to measure how much the excavator drones are mining. It's going to end up being way way up once they know how to include those numbers. There were literally nothing present for Rorq mining in November, which is (by far) the majority - at least in Null.